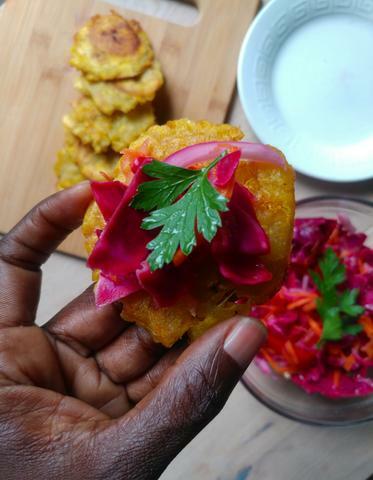 A list of 15 plantain recipes that will make you start cooking with plantains right away. These scrumptious recipes are more than just fried plantain side dishes, ranging from breakfast hashes to burritos, stews and curries, snacks and not forgetting heavenly doughnuts and dessert sweet treats. 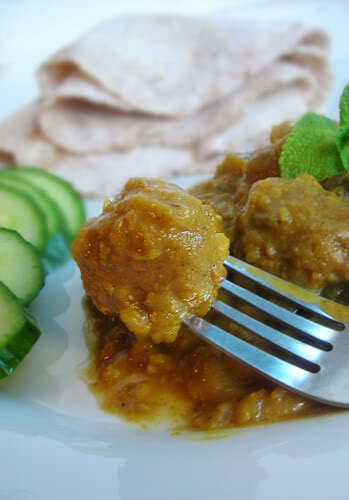 I grew up on green banana dishes ranging from snacks to curries that I was very fond of as a kid. Back in the day, green bananas were a readily available source of carbohydrate from many people’s backyard. We did have a couple of banana trees in our own garden until they started to crack the walls and we sadly had to take them down. 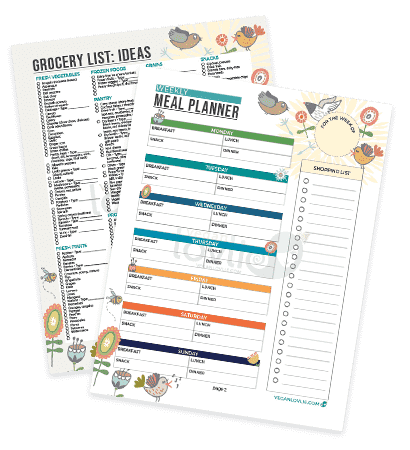 When I moved out of the country, green bananas were not always easy to find as grocery stores over here mostly stock semi-ripe or ripe bananas. Plantains however, are often sold as green and yellow. Both the green and yellow ones aren’t ripe and are perfect substitutes in recipes that call for green bananas. I also soon grew fond of ripe plantains in many recipes that I have yet to share. Plantains are ripe when the skin is completely black but they aren’t the same as ripe bananas though. In fact, they are pretty unpalatable when eaten raw and imperatively have to be cooked before eating. Green plantains taste like a potato with a little more bite and denser flavour to it. Ripe plantains have more of a tropical flair to them; they are sweet with a distinct slight tartness. Both green and ripe plantains lend themselves to many delicious recipes. If you’ve never cooked with them before, once you do, you’d be wondering why you hadn’t given them a chance before. 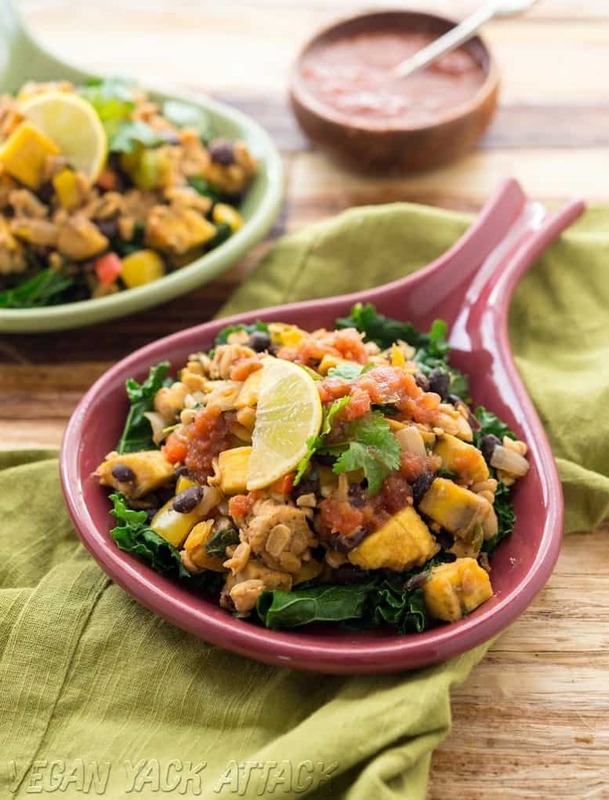 Once you get the hang of a few recipes, plantains might very well become part of your weekly meal rotation. 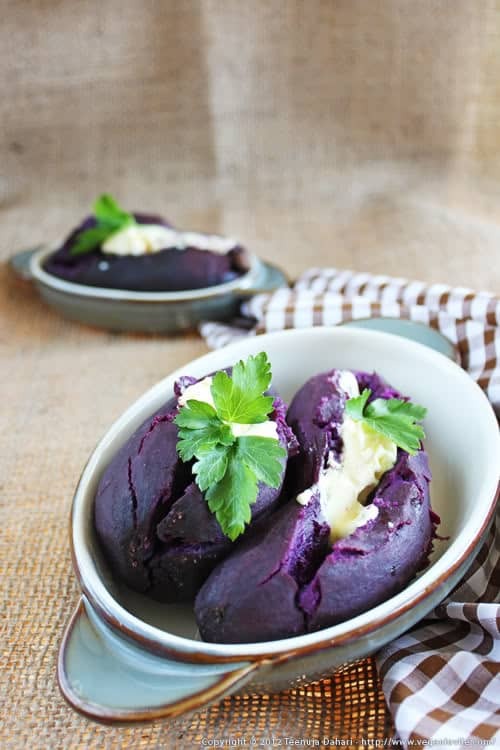 For one fact, they have a little more nutritious benefits compared to white potatoes. So, that’s one good enough reason but they are also very delicious. 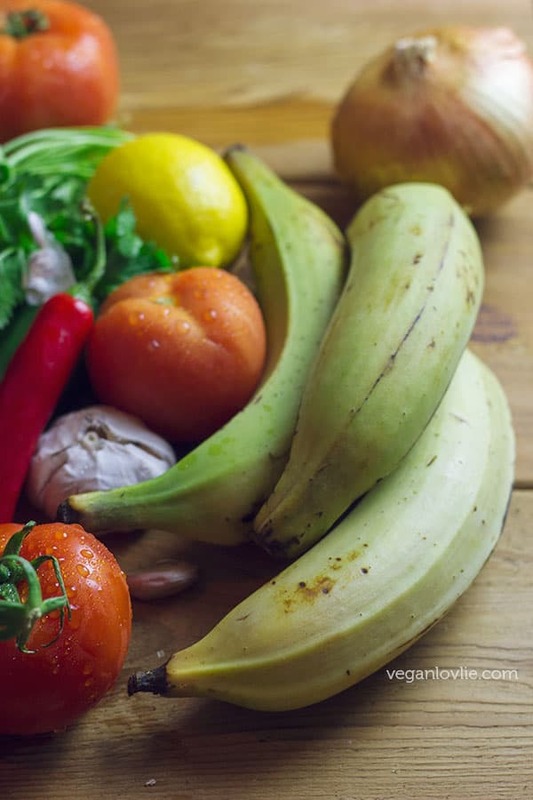 Plantains may be a little difficult to peel, especially the green ones. The way I personally resolve this is for the green plantains is to boil them whole in their skin for 20 minutes. This softens the skin and make it a lot easier to just peel off. Boiling the plantains also improves the texture although this certainly depends on recipes. 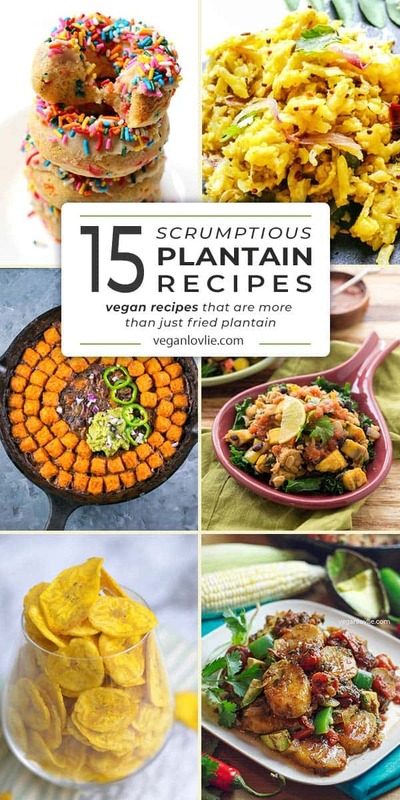 While I am currently creating some more plantain recipes to share with you, I’ve gathered a list of 15 enticing recipes from my fellow blogger friends, using ripe or green plantains ranging from breakfast hashes, burritos, nachos, stews, curries, and not forgetting heavenly doughnuts and fudges or halwa. Don’t forget to pick up a few plantains during your next grocery trip. Swapping in plantain for potatoes in this Plantain Tempeh Breakfast Hash sounds like a wonderful way to start your morning. This bowl of deliciousness is also very nutritious. 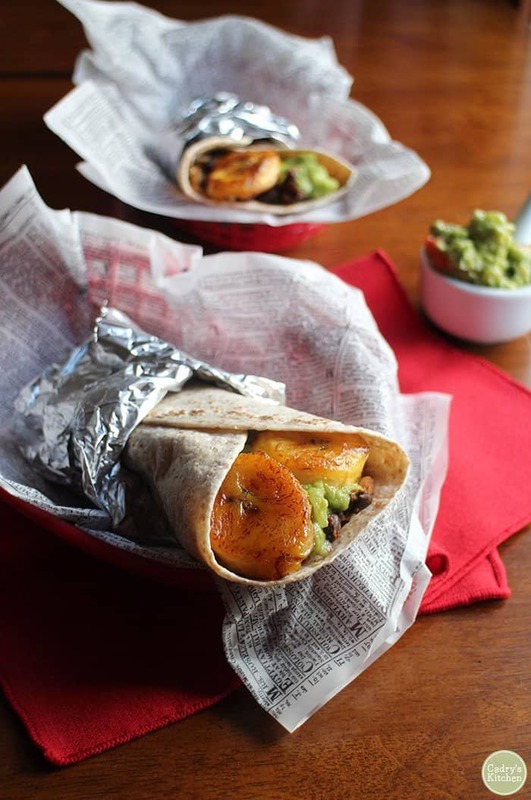 Add some extra oomph to your simple black bean and rice burritos with some fried ripe plantains, a little addition that will make your weeknight meals so much more interesting. This recipe is from us. 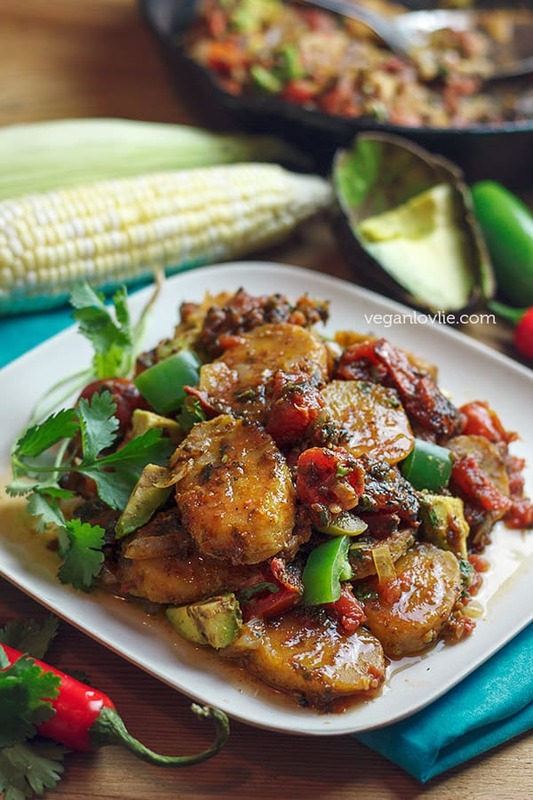 It's a flavoursome plantain dish inspired, adapted and veganised from the popular Shrimp a la Mexicana dish but using plantains instead of shrimps. The plantains are seared and doused in a luscious fire roasted tomato sauce with a couple of nori sheets to evoke a hint of sea flavour. 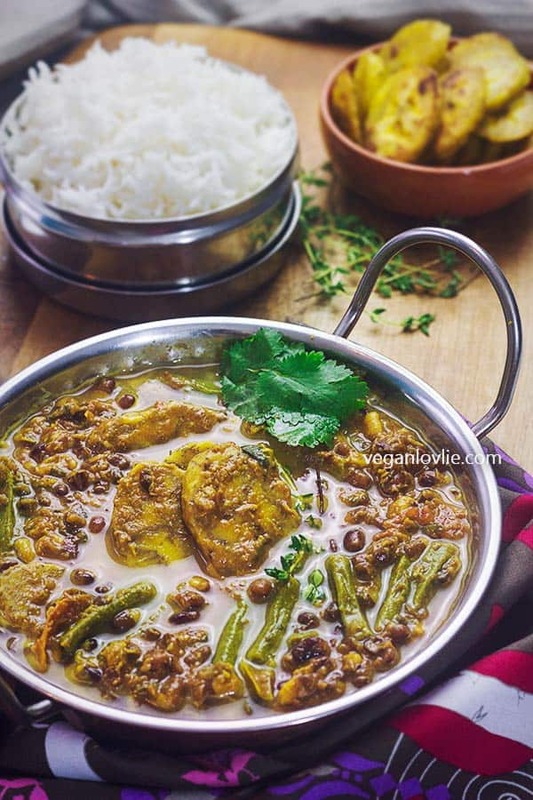 This simple vegetable curry calls for just a few ingredients and is jazzed up with slices fried plantains which makes it so much more interesting with little effort. 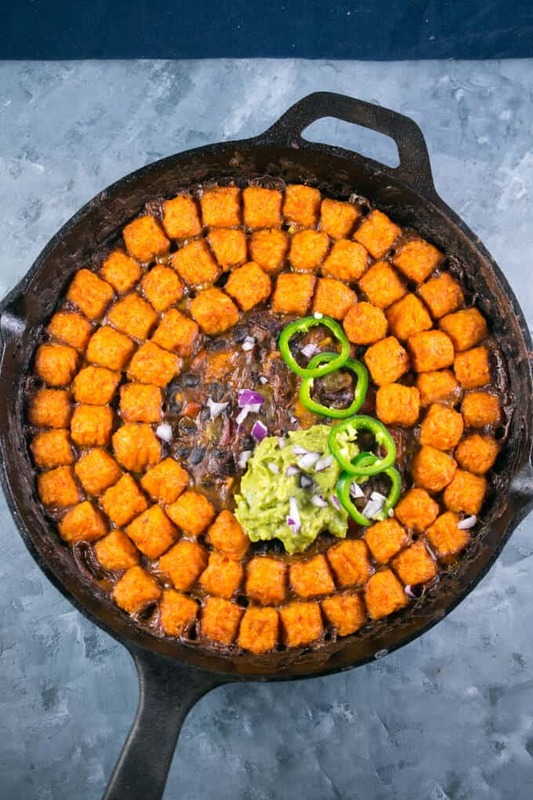 This sweet potato tater tot casserole has chunks of ripe plantain hidden in the sauce for a mouthful of textures and flavours. This is one of our favourite kind of recipes to make with plantain. 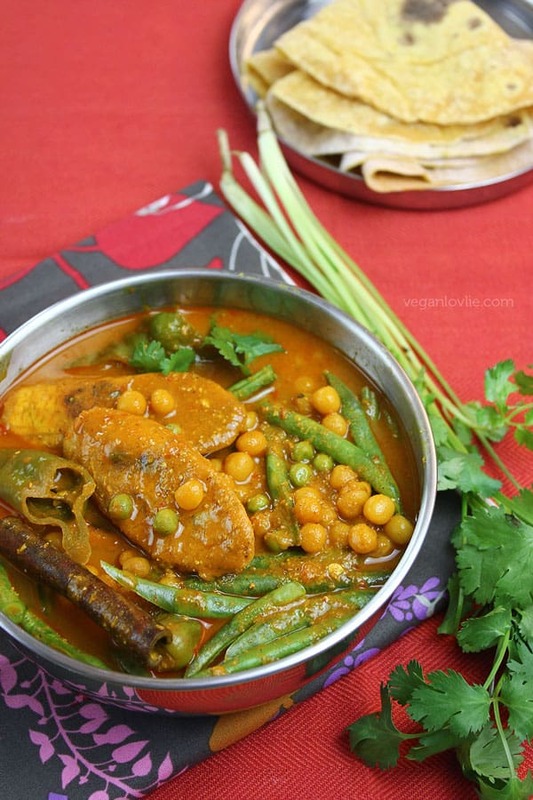 A Mauritian-style curry with green plantains and snake beans. 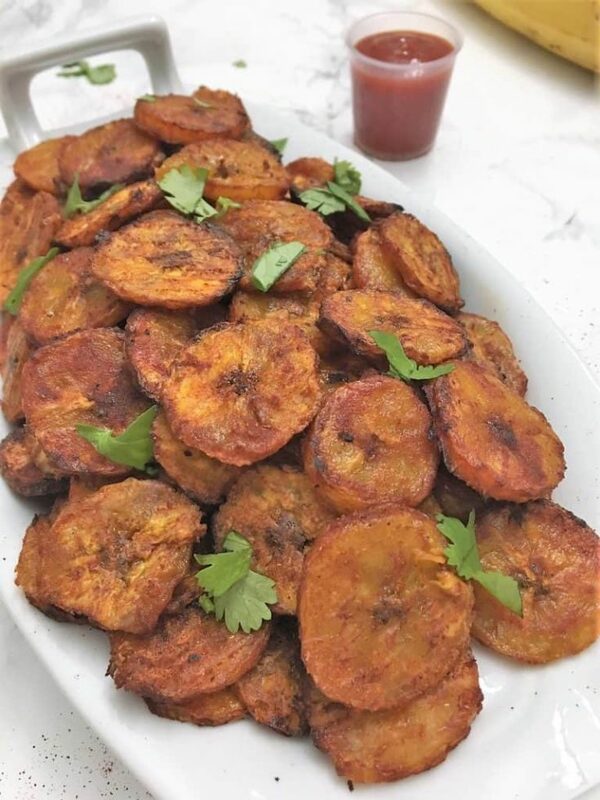 This recipe comes with a 'cook-along' video where I explain how to prepare the plantain step-by-step. 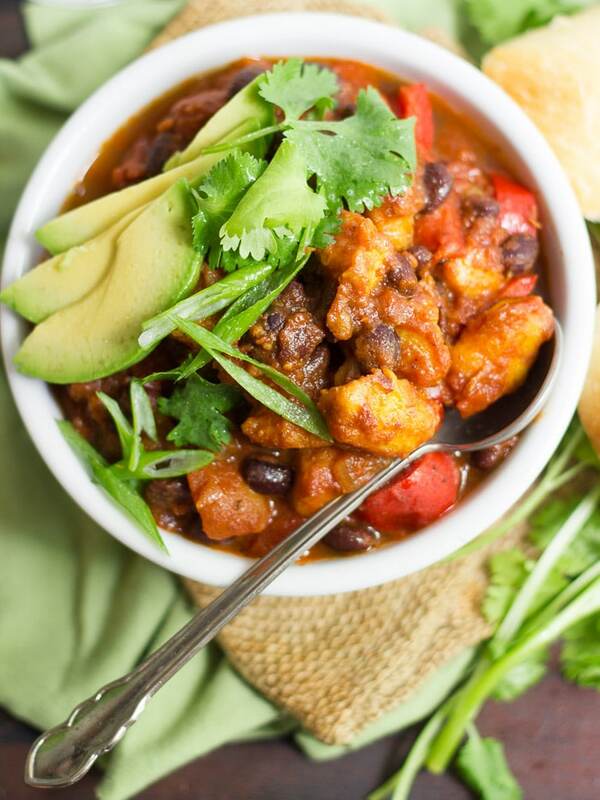 This comforting black beans chili features chunks of ripe plantains doused in a spicy tomato base resulting in a pretty luscious combination of sweet and spicy flavours! I shared this plantain curry recipe over at Veganmiam's blog a while ago. 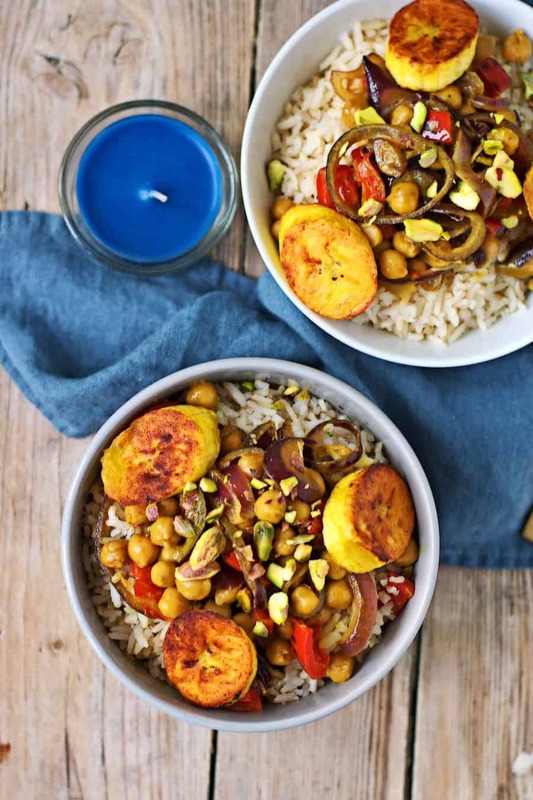 This is such a delicious curry with a unique masala blend that really brings out the plantain. 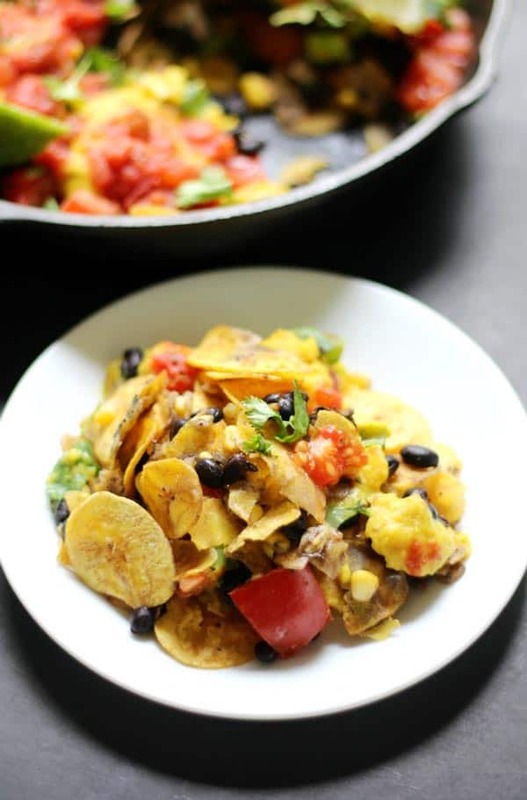 Whether you want to serve these skillet plantain nachos as a meal or snack, they sure are fun and a different take on traditional nachos. They are also gluten-free and grain-free. Plantain Pacherie is a traditional Mauritian condiment made with boiled green plantains or bananas, grated and then sauteed with a beautiful selection of fragrant spices and fresh herbs. 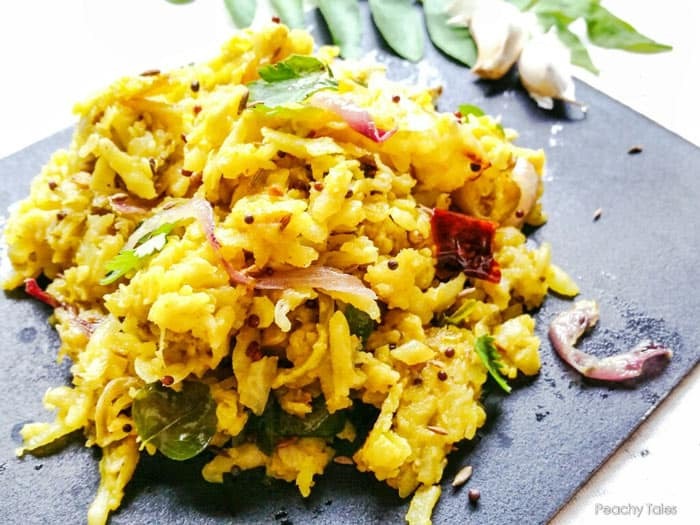 This spicy plantain stir-fry is usually served at wedding ceremonies and is so moreish that I could eat it plain with a side of rice as a meal in itself! Banan Peze is the Haitian equivalent of tostones which are Puerto Rican fried plantains. The seasoning in the Haitian version is somewhat different and it is almost always accompanied with Pikliz which is a spicy pickled cabbage condiment that is reminiscent of sauerkraut or kimchi with a slightly different take. 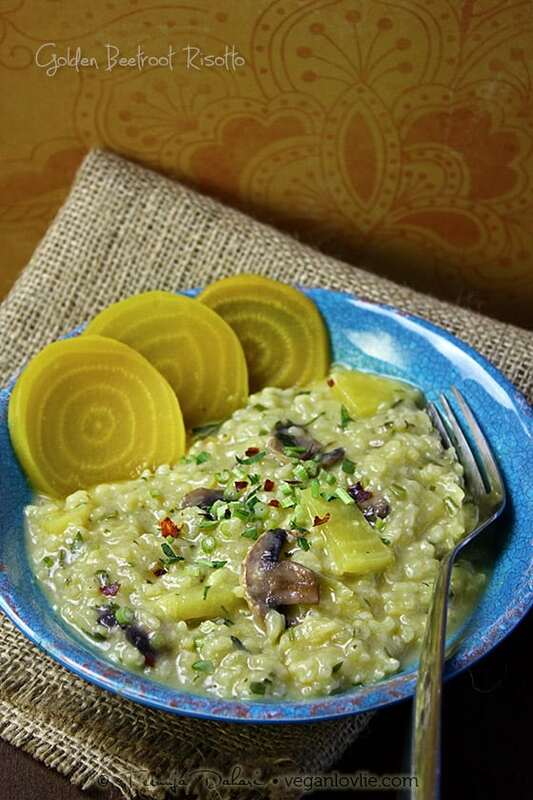 These Banan Peze would make mouthwatering appetisers or snacks. I find crispy green plantain chips to be just as addictive as potato chips! This air-fryer recipe for green plantain chips presents a healthier alternative to the fried store-bought ones. The recipe also gives baking instructions if you don’t have an air-fryer. 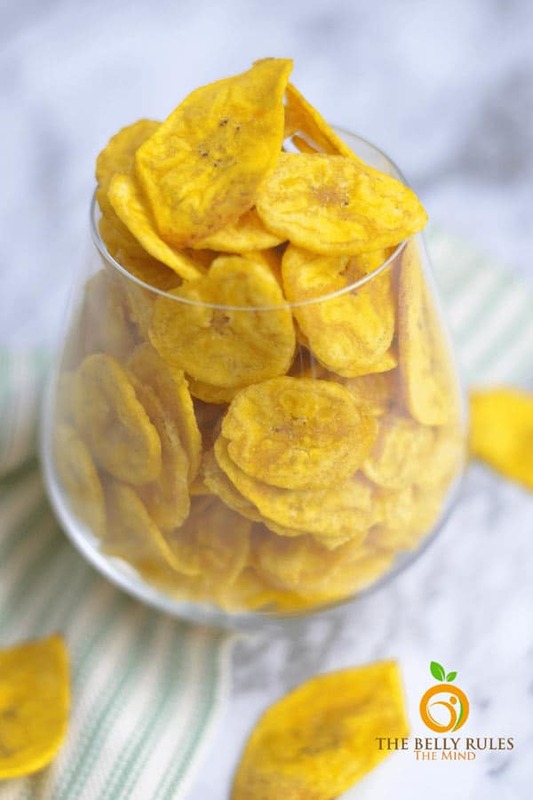 Sweet and spicy baked plantain chips make a simple healthy snack alternative to potato chips. 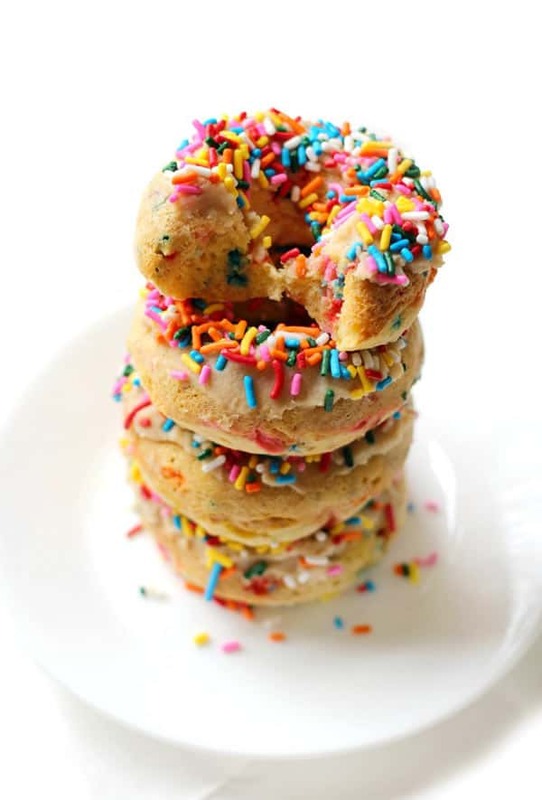 The texture of these funfetti doughnuts is simply amazing! Who would have known that the base ingredient is plantain and they are also sugar-free, gluten-free, grain-free and paleo. 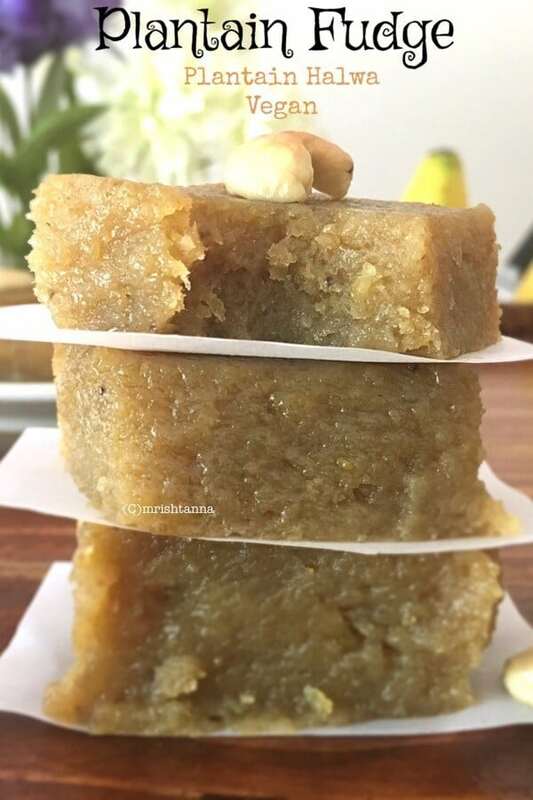 With just a few ingredients and no refined sugar, this plantain halwa or fudge is a must-make. I bet it tastes as delectable as it looks! Love these Plantain Recipes? Don’t forget to pin them for later.